Valentines Day cards are fun to paint! Being hopelessly romantic, I'm inspired by many aspects of love. Focusing on the subject, I find inspiration is constant and my efforts often emerge playfully as whimsical renditions. 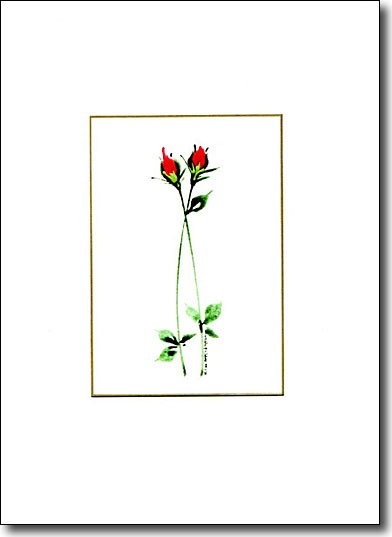 Two entwined red roses. What a romantic image! 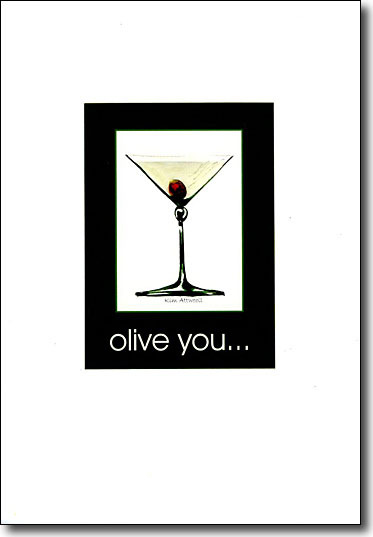 Let the power of suggestion in this Valentines Day card lead to an engaging evening. 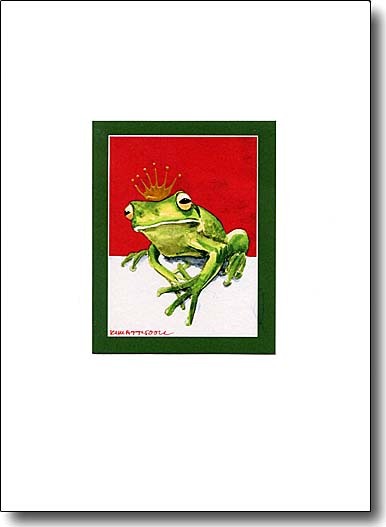 I paint a shiny crown on each of my frogs. It reminds me of the playful saying "You have to kiss a lot of frogs to find your prince". 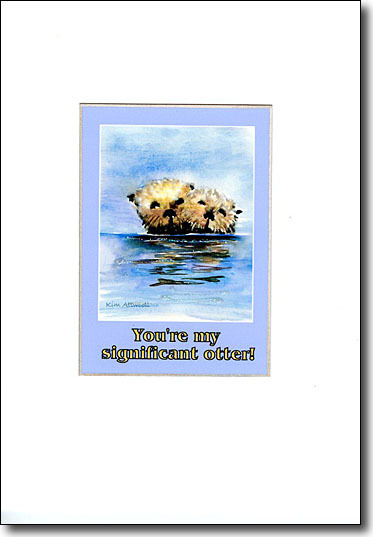 This isn't your standard Valentine card. 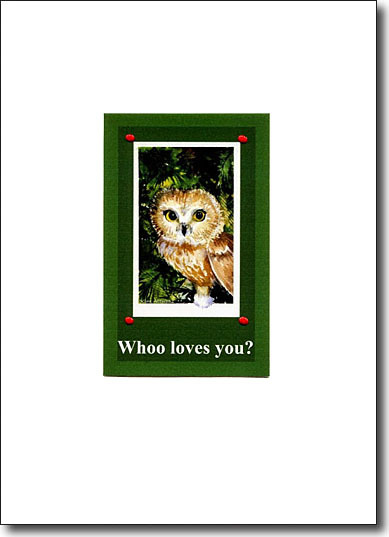 Keep 'em guessing by giving this whimsical owl. 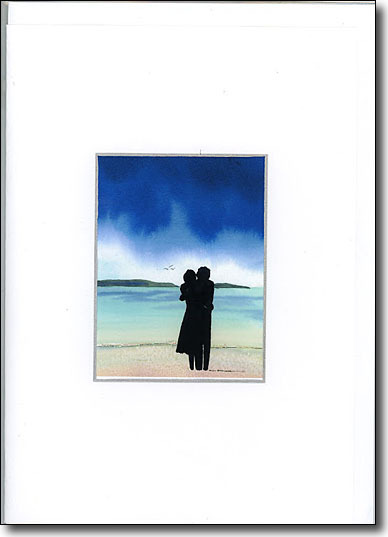 This simple painting illustrates the feeling of complete contentment when we are next to the one we love the best. 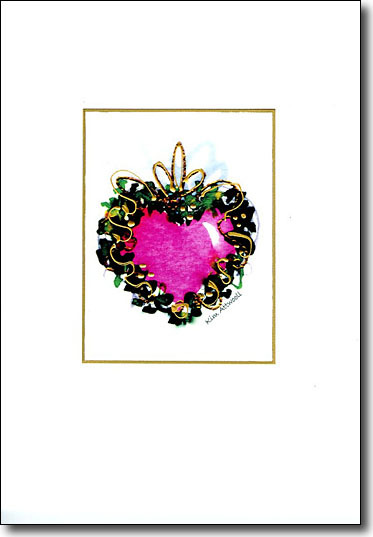 Here's a graphic heart embellished with a flash of pearlescent shimmer. 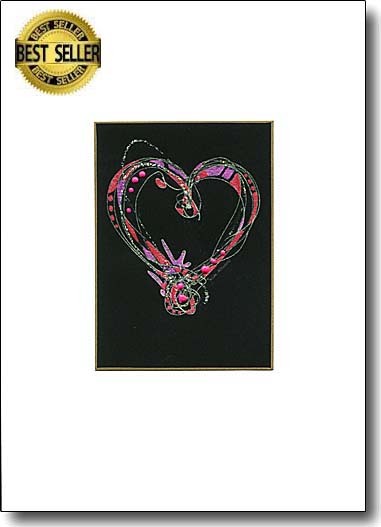 This warm abstract carries the best four letter word with embellishments of sparkles and gems. 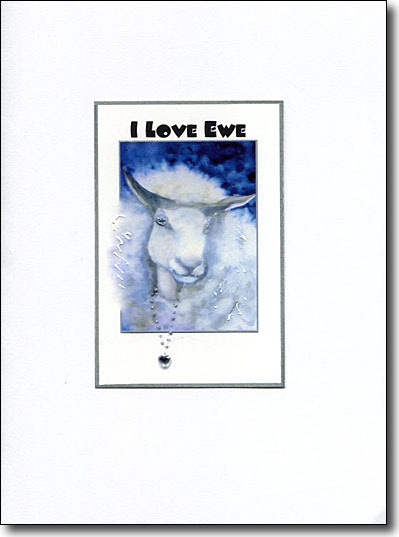 When she was painted as an experiment on Gesso, she opened a door onto the many possibilities of the word ewe. Living in NC, the word you is pronounced ewe. What fun! I'm so glad this statement appeared in front of me one day. The painting is one I did using Don Andrews' inspiring technique for glowing colors. 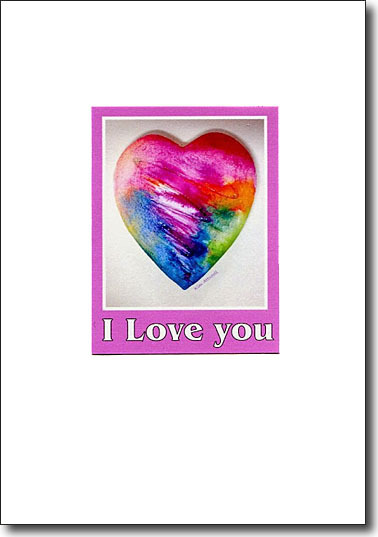 It makes a very loving Valentines card. This dramatic calligraphy is alive with color and feeling. It's sure to make an impression every time it's opened. 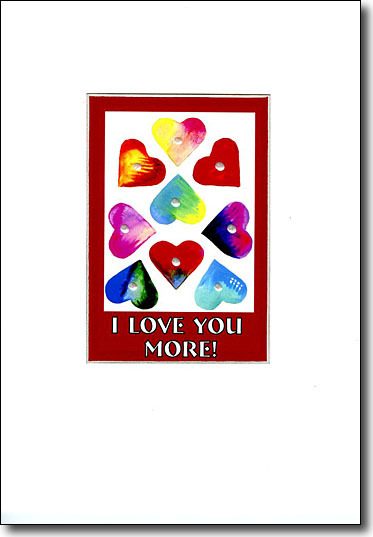 The embellishments used are hologram sparkles and neon acrylic paint. This furry fella is sending a Valentine message, "Be Mine!". 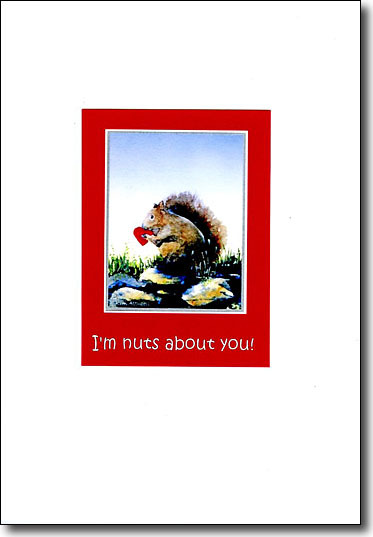 It's also a playful anniversary card for your spouse. 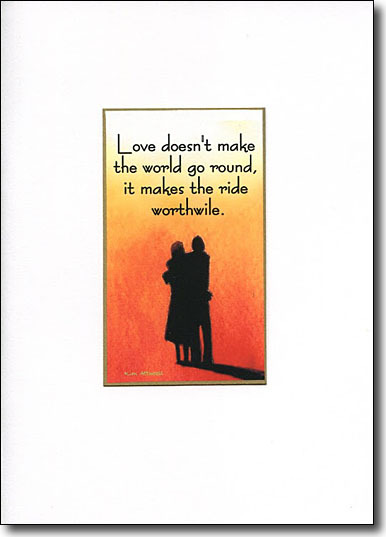 As I age, the closeness of mature partners delights me. I show it in this painting and add the bling to each one with the sparkly gold balloon. 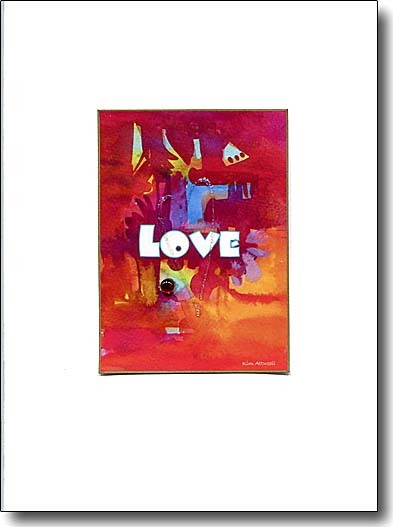 Celebrate love with this art card. 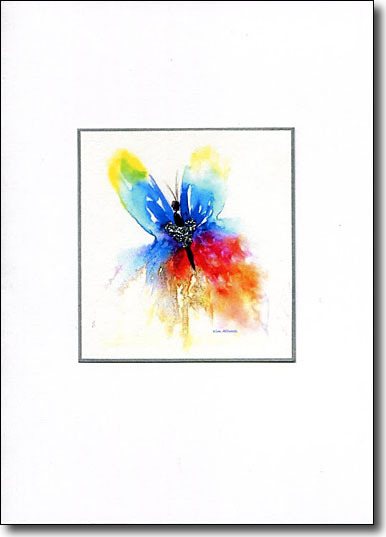 My ethereal image of a butterfly is enhanced with a silver sparkle heart. 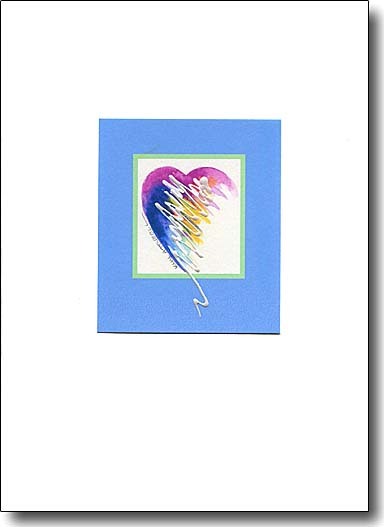 This artistic representation of a butterfly makes a wonderful Valentine card as it alludes to the feelings of new love "butterflies". 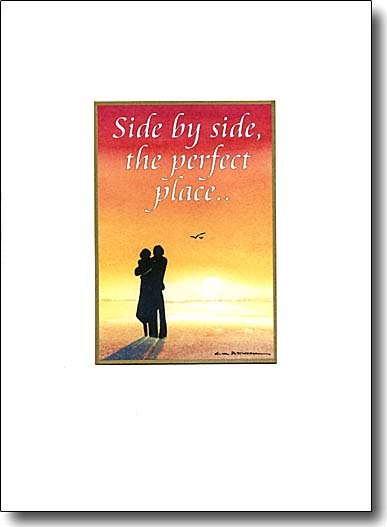 A Valentine card that expresses togetherness. The edge of the water is alive with sparkles. 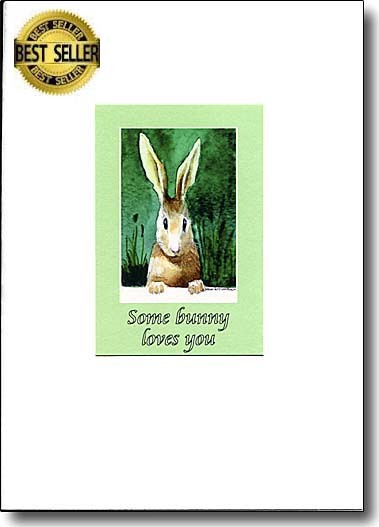 This whimsical love card has the bunny with shiny whiskers looking in at you. The play on words is a sure way to further delight the recipient. She's tiny but full of emotion. 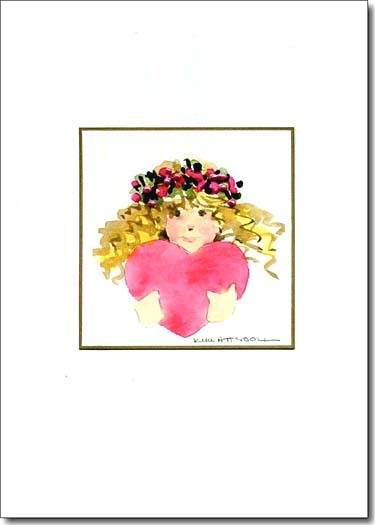 Her head is wreathed in a flower halo and she's clasping a big heart. 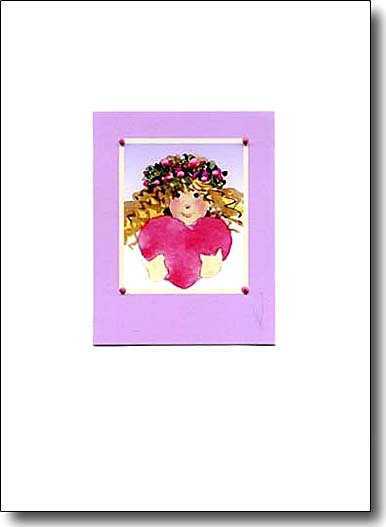 This little sprite is holding a big Valentine and is wearing a wreath of flowers in her hair. She's going to capture hearts..as will you with this card. 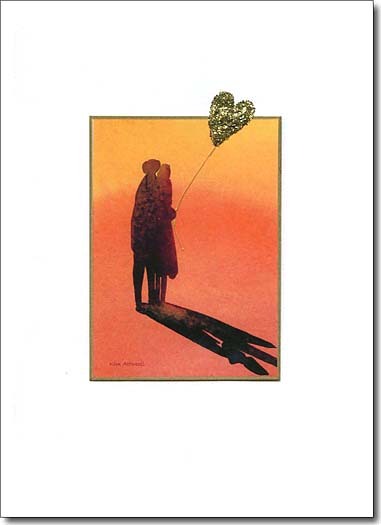 Send this art greeting card for Valentines Day. 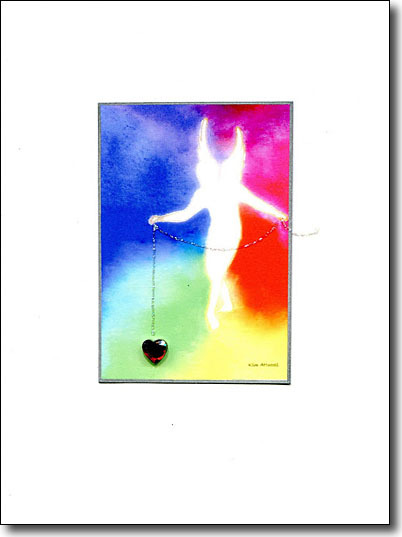 The male angel is left unpainted on a prism background of analogous colors. 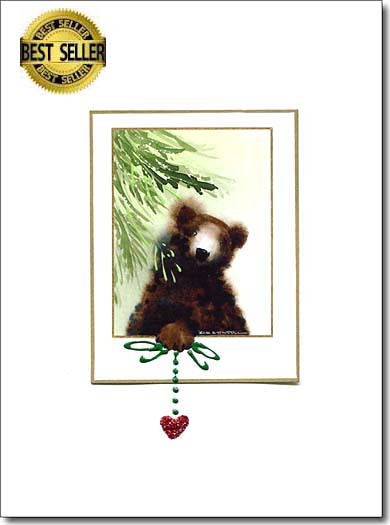 He's holding a sparkly garland with a raised heart at it's end.